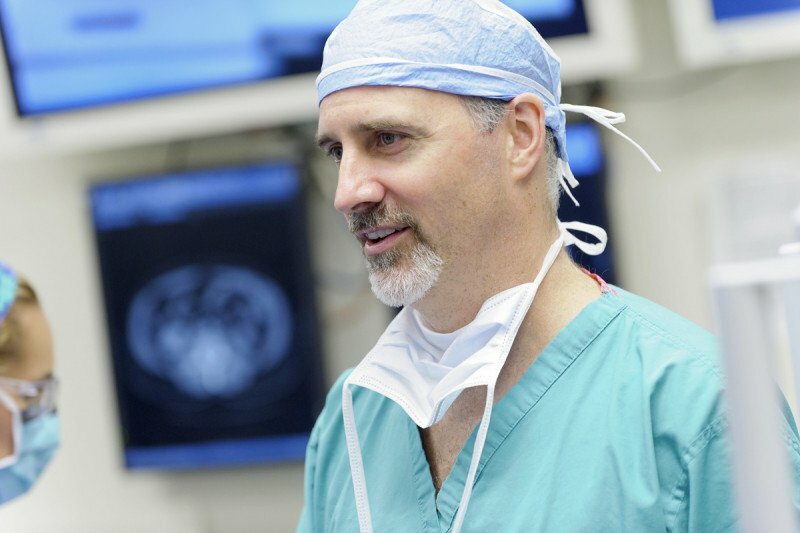 Surgeon Jonathan Coleman is a specialist in focal therapies, a set of minimally invasive techniques for eliminating small, localized tumors in the prostate. We often perform focal therapy on an outpatient basis. We follow a rigorous set of standards for recommending people to receive focal therapy. This includes performing a thorough evaluation to confirm that the tumor is small and localized and that a more extensive treatment isn’t required. We offer several different types of focal therapy, including some new techniques that are available only through our clinical trials. With focal cryoablation, we use a needle-thin probe to deliver a solution that surrounds the tumor and kills it by freezing it to a very low temperature. Our researchers are evaluating the effectiveness of this relatively new approach that destroys only the tumor while sparing most of the prostate. Because focal cryoablation targets just a small area within the prostate, it tends to cause fewer side effects than other cryoablation techniques, which freeze the entire prostate gland. High-intensity focused ultrasound (HIFU) uses the energy of sound waves, directed to the tumor with the help of MRI scans, to superheat and eliminate small tumors. Some men find HIFU an attractive focal therapy approach because it is relatively noninvasive. The effectiveness of this treatment is monitored in real time, using MRI to measure the temperature within the prostate during therapy. At Memorial Sloan Kettering, we offer HIFU focal therapy to selected patients through a clinical trial. Irreversible electroporation is a technique that uses a device called the NanoKnife to pass an electrical current through the tumor. The electricity creates very tiny openings (called pores) in the tumor’s cells, leading to the death of the cells. An ultrasound or a CT scan is used to focus the current precisely on the tumor, sparing blood vessels and other tissues. With vascular targeted photodynamic therapy, we give you a drug through an IV that destroys tumor cells and the blood vessels that support them. The drug travels to the inside of the tumor and is activated when we expose it to light of a very specific color, which is delivered through specially designed fibers placed within the prostate. Currently, the drug used in this therapy is approved for use only outside the United States. However, eligible patients can receive it through one of our clinical trials. Following focal therapy, we’ll carefully monitor your progress. In addition to prostate-specific antigen (PSA) testing and examination, we may recommend further MRI and ultrasound studies to assess the effects of your treatment. These studies may also serve as a guide for a follow-up biopsy. Altogether, these strategies are more accurate than a PSA test alone in determining whether a treatment was effective. If follow-up tests indicate that the cancer has returned, we can offer you many other treatment options after focal therapy.